The library will be closed during 7th and 8th blocks. TCC students should report to Mrs. Wesco's office. Powerlifting is cancelled for Monday, December 10th. We will resume tomorrow at 3:15 p.m.
Congratulations to the Lake Eagles Varsity Basketball team for defeating Midlothian Friday night. Come out and support the Lady Eagles as they begin district Tuesday night against Grand Prairie at home. 81 Lake Ridge Band members earned positions within the TMEA Region 5 Bands, 15 members earned positions within the TMEA Region 5 Symphony Orchestra, and 31 members advanced to the TMEA Area B Contest. Congratulations to our band members for their success. Thank you for helping us win the 2018 Toys for Tots contest, Lake Ridge! This year, we brought in 3,449 toys. Our pizza contest winners are Mrs. Smith and Ms. Marlar. It was too close to call, we decided both classes should win. Thanks for all your help and support. The Lake Ridge Gay/Straight Alliance will be meeting Wednesday, December 12th from 3:00 - 4:30 p.m. in room E-145. Don't forget your Secret Santa gift! This is an informal meeting for anyone interested in playing baseball. If you have any questions, please see Coach Ross in room A-151. Please come by after school to pick up your shirts in room A-259 this week. Students, yearbook pictures are posted in the cafeteria through this Friday. Please find yours and check to see if your name, grade and picture are correct. If not, scan the QR code next to the pictures, and submit your corrections. If you have any other questions or concerns, see Mrs. Canon in room E-131. Pictures will only be posted until this Friday and all pictures, names and grades will stay the same if no correction is submitted by Friday. Thanks everyone! The Vietnamese Student Association is meeting this Friday after school in room A-226 (Mr. Austin's room). Join us for holiday themed fun. 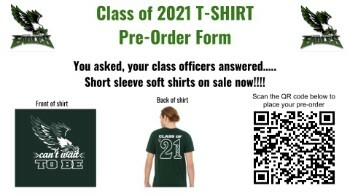 Sophomore class t-shirts are on sale now. This year they are green short sleeved soft shirts for $15. All money must be brought to Ms. Garcia in room A-217 by Wednesday, December 19th. Pre-order using the QR codes provided on the posters around school or ask one of your Student Council officers. 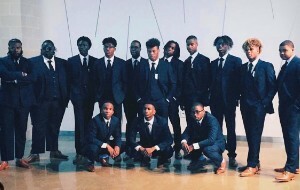 Dynasty and the Distinguished Gentlemen each won first place in the Southwest Step Show in Garland this weekend. 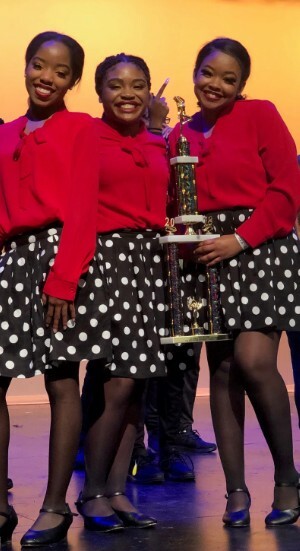 Congratulations to our step teams! Dynasty won first place in the High School Girls' Division. The Distinguished Gentlemen won first place in the High School Boys' Division.